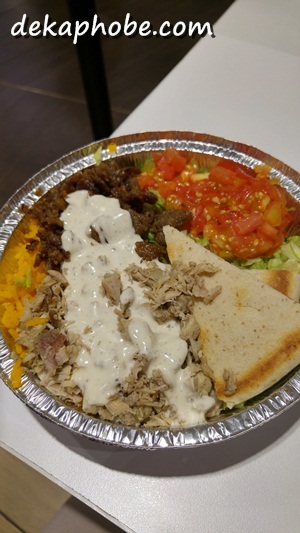 The platters are served with a generous serving of rice, tomatoes, coleslaw and pita bread, with its signature white sauce. My friends, however, tried the super spicy red sauce. I liked the gyro though it was a little dry, but I wasn't too excited with the chicken. I loved the white sauce on everything that I wished I ordered extra. I was satisfied with the size of my meal (and mind you, I was ravenous that time). However, the meat was a bit dry for my taste. 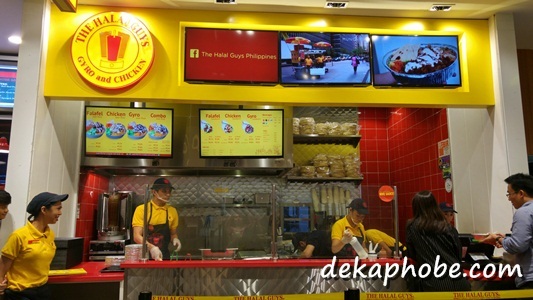 Overall, I didn't find The Halal Guys extraordinary. 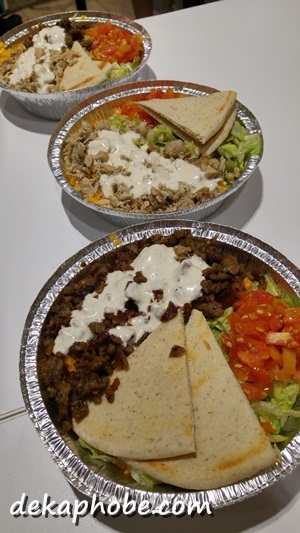 The service was great, yes and the food wasn't that bad, but I just had better Middle Eastern fare.